Do you ever find it hard to explain to family and friends why you’ve already been thinking about Christmas for weeks (or even months), even though it’s only September? Since the unexpected rise of last year’s Black Friday, as well as Cyber Monday and January Sales taking place in November, this peak ecommerce trading period now spreads over months, not weeks. By now you’ve probably got your Christmas plans well underway – but here’s a last minute check to make sure you’re not missing any tricks – even at this late stage. Getting those festive sales figures up isn’t just about the products, the price and the offers. At your peak sales period more than any other, the brand experience is vital. To get the most cash slipping out of your visitors’ wallets and into your coffers, it’s essential that your ecommerce website is usable, persuasive and trustworthy. So what can you do even with Christmas trading nearly upon us? Conversion Rate Optimisation is the answer, a proven process that gets guaranteed results. Follow our plan below and you’ll have your customers happily spending their hard earned cash. Read on for a month-by-month view of actions you can take to guarantee you have a Christmas to remember for all the right reasons. Like a dark and rich Christmas cake, the earlier you start preparing the better. The sooner you get these tools on your site, the longer they have to gather high-quality data that you can use to make your site more appealing to paying customers. Online survey tool – installing a tool that lets you ask questions of your visitors such as Qualaroo gives you valuable qualitative information about who they are, what they’re looking for and what challenges they’re facing. Questions can be highly targeted to segments of your visitors and give you a clear picture of what your visitors think, feel and do. Heatmap tool – tools such as CrazyEgg - allow you to generate maps showing how visitors are actually using your website. You can see at a glance what parts of the web page get a lot of mouse movements, clicks and scrolls. It’s a really useful insight into how your web pages are actually used. Usability tester recruitment tool – add Ethnio to your site and you can talk to users while they’re actually on the site. That way you know you’re getting to the people who really matter – your customers and your hot prospects. Split testing tool – there’s only one sure-fire way to know if the changes you’re making are going to improve your site for the better and make more money – and that’s to test. Adding a split testing tool such as Optimizely or VWO to your site allows you to run A/B and MVT tests to test changes in a low-risk and highly measurable way, without any of your visitors suspecting a thing. Offline survey tool – tools such as Fluid Surveys, Survey Monkey and Survey Gizmo all allow you to create surveys and email them to your database. Be sure to incentivise your surveys to increase response rate. Screen sharing tool – once you’ve recruited your usability testers, you need some way of observing them using your website. Tools such as JoinMe and GoToMeeting allow you to share screens with the testers so you can watch and listen to them using your site. Once you have installed and set up these new tools, you have the power to access a wealth of information which wasn’t previously available to you. But don’t underestimate the other sources of data and insight that you probably have access to already. During the course of a CRO project we might use over 30 tools and techniques, to get extra data, much of which already exists within a business. Speak to your in-store sales team and/or call centre staff. These are the people who interact with your ideal customer day in, day out. They hold a wealth of information which you should regularly be tapping into. What are the common objections your customers and prospects have and what counter objections do your sales team use to overcome them and convert the sale? Create your conversion funnel – track your visitors’ journey through your site. What percentage are progressing to the next stage of the funnel? What percentage are dropping out? Once you know this you have a much better understanding of where your ‘problem pages’ are. Review your customer service emails and live chat transcripts. Normally a treasure trove of valuable insights – especially the negative ones. What are the common themes your customers are writing about and what can you do to reduce complaints? Buy from your own site. When was the last time you used your own website? In a previous post we explained the benefits of, and steps involved in, being your own customer. There’s much to learn from experiencing first-hand what it’s like to be ‘on the other side’ of the website – using it to make a purchase rather than immersed in the business-end. Start identifying conversion levers on your site. Many marketers make the mistake of viewing split testing as nothing more than a way to verify results. The biggest value you stand to gain from split testing is learning about your site and your customers. Assuming you have the bandwidth, you could run some precursory tests to identify conversion levers – those pages or elements on a page that influence conversion. For example, we were recently able to show a large retailer that the product recommendation engine on their site did not contribute to incremental revenue. The next step is to adjust the algorithm, or to remove that component and use the space more effectively. Think about testing the value of homepage carousels, videos, stock images and key messages. After analysing all these data sources, you will have a long list of optimisation opportunities. The trick now is to identify which ones you should focus on straight away to ensure you have a Merry Christmas. Most marketers who use CRO use a process similar to the one we describe here, and at this point most will prioritise. It’s important because you need to know where to put your resources – and even more importantly what you can safely ignore. However, everyone uses a different system to pick out the areas to focus effort on. Our system uses two criteria to evaluate each issue/opportunity – strength of evidence, and potential impact. We refer to this as ‘Triage’ because it’s all about deciding which ones are worth investing time and money in and which one’s aren’t worth bothering with. Only those with strong evidence (and by that, we mean from a number of different data sources, not one person’s opinion) and a potentially high impact make the grade. With these ones, you can be assured they will make a positive impact on your sales and revenue in time for your peak period. Once you’ve prioritised your opportunities, write them down so you have a plan to work through. This isn’t set in stone. But it does help you to focus only on the changes most likely to have an impact on your business and prevents you from getting distracted by last minute ideas and opinions. You’ve identified your biggest conversion killers and created a plan about which ones to tackle first. The next step is to make sure your changes have the best chance of delivering significant sales uplifts. Our Creative Execution process is designed to do just that. Create a wireframe – wireframes are visual images that represent the layout of a page and the proposed copy. Often in black and white and lacking graphical detail, they’re ideal for representing and gathering feedback on your ideas without significant design investment. Get feedback on your wireframe – with a wireframe created, it’s time to get some feedback on it. There are a number of sources of feedback, such as showing the wireframe to your colleagues, presenting them with the issue it’s designed to resolve and asking whether these amends address it. But by far the most fruitful source of feedback is your visitors themselves. Go back to your usability testers and ask them whether this addresses the issues they were having. Create artwork – once you’ve received this initial feedback, you can incorporate any suggested changes into your webpage artwork, a fully mocked-up image of what the page will look like with graphics and all. Get feedback on your artwork – go back to the people you got feedback from before and ask whether this now fully-designed page still solves their issue or improves their experience. Create and launch a split test – with Christmas approaching and visitor numbers increasing by the day, it may be tempting to just make changes to your site so 100% of your visitors see it. But it’s important to remember that, although it’s been through a thorough process, these changes still aren’t guaranteed to have the impact you wanted. Split testing allows you to serve the change to a proportion of your visitors and monitor changes so you can be sure that any improvement is down to the new design alone. Repeat the creative execution process for each of the changes in your optimisation plan throughout these months. This peak period is a great time to split test as traffic levels are high and statistical significance can be reached quicker than low-traffic months. But there is a caveat to be aware of. Christmas shoppers can be highly motivated to buy which can skew split test results. What that means is that you can test a new web design over the festive period, but come February, all metrics drop back down. Possibly the ‘winning’ variant no longer performs the best. Was the change in visitor motivation giving you a false positive? Or was it a real win that only applies to your Christmas traffic? To be sure the uplift will hold, we also recommend running these peak period tests again in an off-peak period, if traffic levels permit. This allows you to confirm that the changes you saw weren’t overly influenced by change in visitor motivation, but can apply year-round. Interestingly, it's arguably more difficult to get a good lift pre-Christmas precisely because the motivation is so high so people will checkout anyway. Consequently, we've often seen follow on tests perform better in an off-peak period compared to the peak Christmas period. 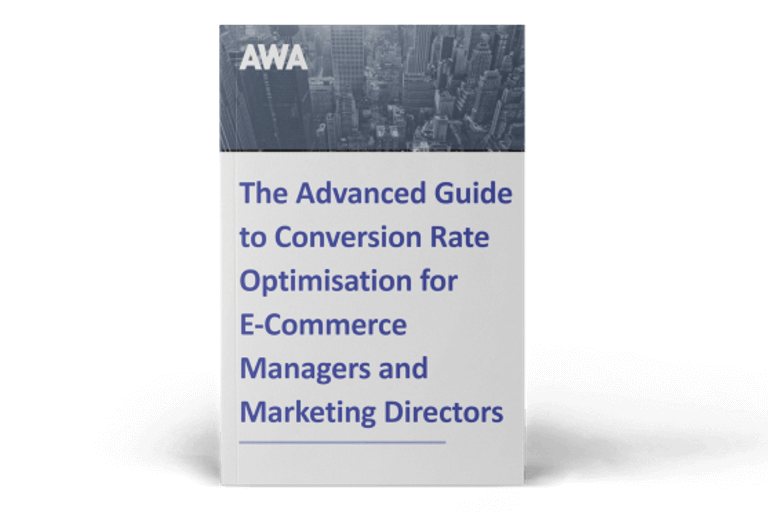 This monthly plan is guaranteed to help you find the key conversion killers on your ecommerce website and fix them in time for Christmas. We’d love to hear how you got on implementing this process so do leave a comment below if you are planning to use it to boost your festive sales and revenue. If you want to make this a Christmas to remember, but need a helping hand to get you on track with implementing CRO quickly and effectively, let us sharpen your skills. 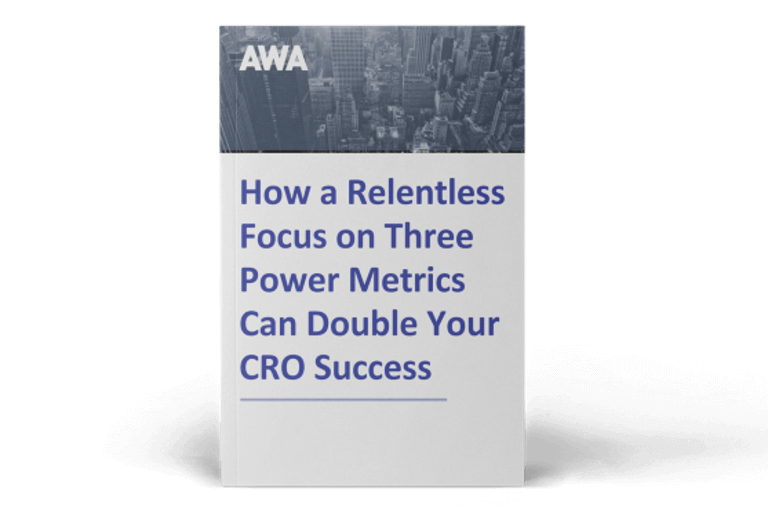 The first step to success is to understand the CRO process as a whole. 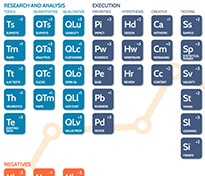 To help with that, we’ve created this infographic which gives an overview of all the key elements involved in successful CRO, designed like the well-known periodic table for chemical elements.